As temperatures rose into the upper 80s, I packed the minivan for a three-night campout at Black Rock Mountain State Park just north of Clayton. With sweat running down my forehead and my patience waning, Carlton and Harris sat in their seats too eager to get underway to heed my repeated instructions to stay out of the van. We all received anxious hugs and kisses from Carla, and soon we were headed north, the strains of a “Harry Potter” movie on the DVD player. 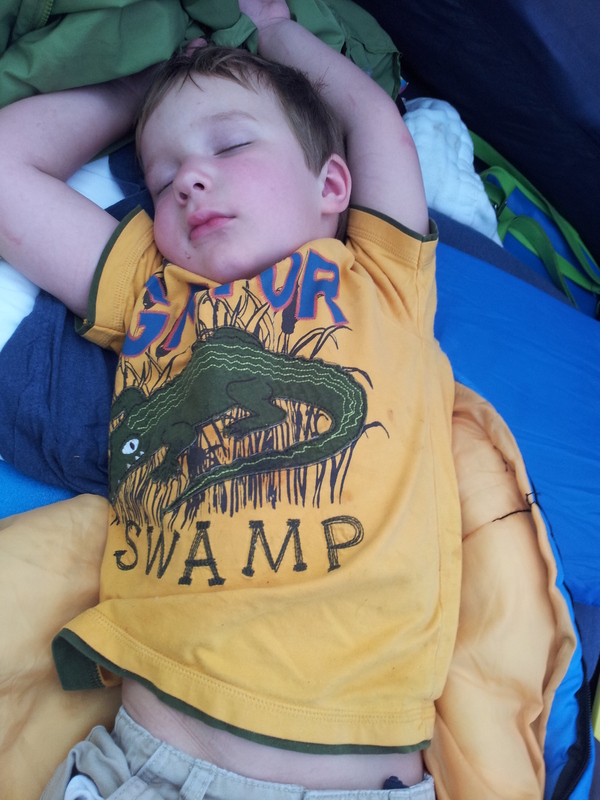 Last year on Memorial Day weekend I discovered two truths: don’t ever try tent camping in South Georgia in late May and, more importantly, there is no activity that helps you spend uninterrupted time with your children like camping. My deal with Carlton, 3, since last year was that he could go camping as soon as he learned to go in the potty. He finally crossed that hurdle a few months ago, so his time had arrived. 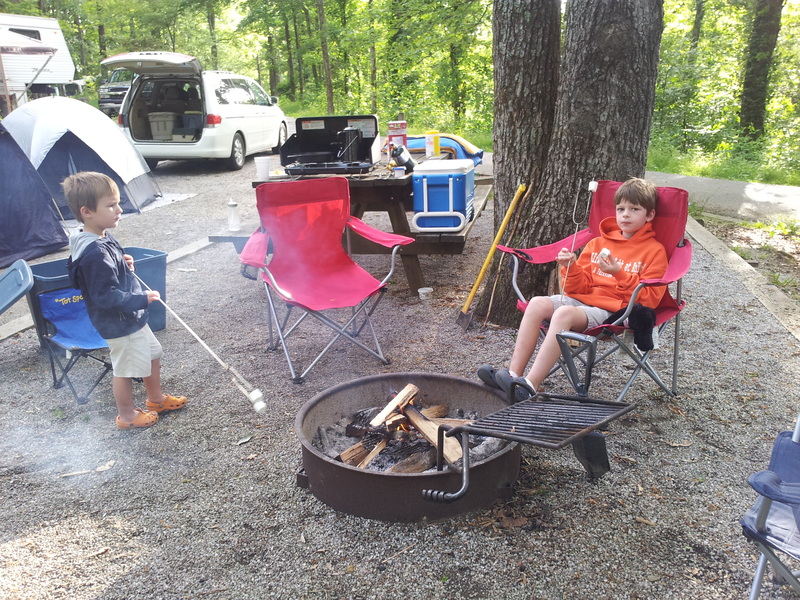 The echoes of children’s laughter, the crackling of wood in fire pits and the whirring of bike tires gave evidence that family camping is alive and well in the New South. As we set up camp and started the charcoal for supper, I could feel the tension ease in my neck and shoulders. Even with Carlton getting into everything and asking a zillion questions (“What does dis ting do?”) I began to notice small subtle details about my children that I haven’t been able to see in the rush of our everyday, hectic existence. I hadn’t really thought about what I was after by planning this trip. 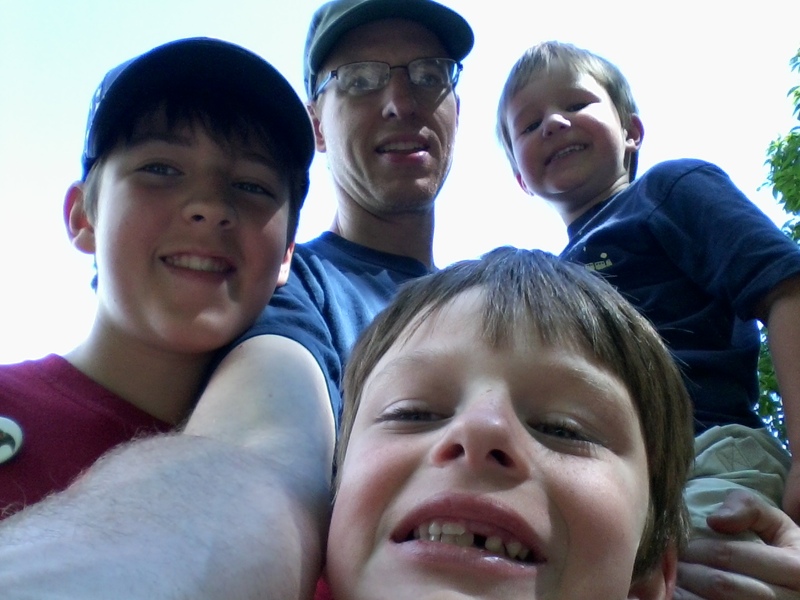 I enjoy camping, even though I need an air mattress these days, and the boys enjoy it, too. Camping always brings back memories of the camping vacations I took with my family at St. Andrews State Park in Panama City, Fla. Conversation came easily as we ate our meals of hot dogs, cheeseburgers, mac and cheese, pancakes, bacon, eggs, sandwiches – the menu wasn’t nearly as important as the time at the table. Yes, there was the usual inane rehashing of TV show or movie plots that drives me insane, but there was also deeper reflection. Harris, in particular, has a habit of saying “I love you, Daddy” when he’s in a good mood. The “I love you, Daddys” were flowing as well as the victory dances when he won six games of Skip-Bo in a row. 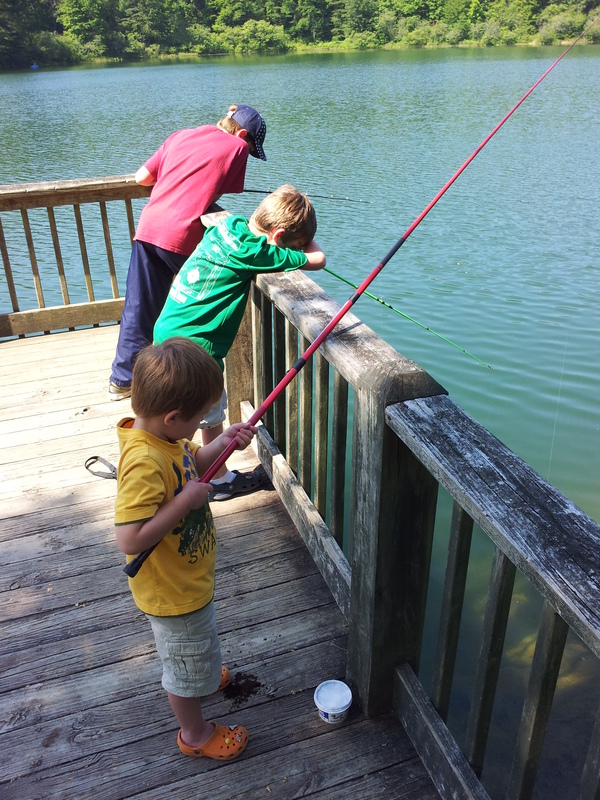 We fished, we played at the playground, we took pictures at the scenic overlooks. We even toured the Foxfire Appalachian heritage museum. The trip had just enough structure and activity to keep us from getting bored, but most of the time we built fires, played cards, laughed and talked. Camping takes it out of you. Carlton did fine with camping. He fell asleep the last night a little after six, roused only long enough to eat a S’more (which he called “snores”) before succumbing to sleep again. He was joined in his early bedtime by Harris who couldn’t even wake up enough to join us for a S’more. So Barron and I passed the dusk into early nighttime with Uno, the old standby of camp entertainment. When the bugs descended, we moved into his small, two person tent and played by flashlight. We talked and laughed. It was unforced and natural, a bonding that I try too hard to make happen at times and then miss altogether at other times. Yes, my boys are growing up, Barron will enter middle school next year. Harris will be in second grade, and Carlton is rapidly leaving the toddler stage. I can’t always treasure the moments like I should. But when you get out in the woods, you notice everything. And if my boys are anything like me, they’ll remember a lot of it, too. I had my moments with each of the boys, moments when I saw something behind their eyes, something more than just their outward appearance. I recognized myself and Carla in them. I saw glimpses of their spirit, flashes of their souls. A few times, I even thought I saw their future selves. It’s amazing what we see when we slow down and set aside all distractions. Camping isn’t always easy, but it is rewarding. What’s a few bugs in your tent if you are building stronger relationships with your children? Do you like camping? What do you remember about the campouts of your youth? What do you like to do on camping trips? Where is your favorite destination? Share your thoughts in a comment below. 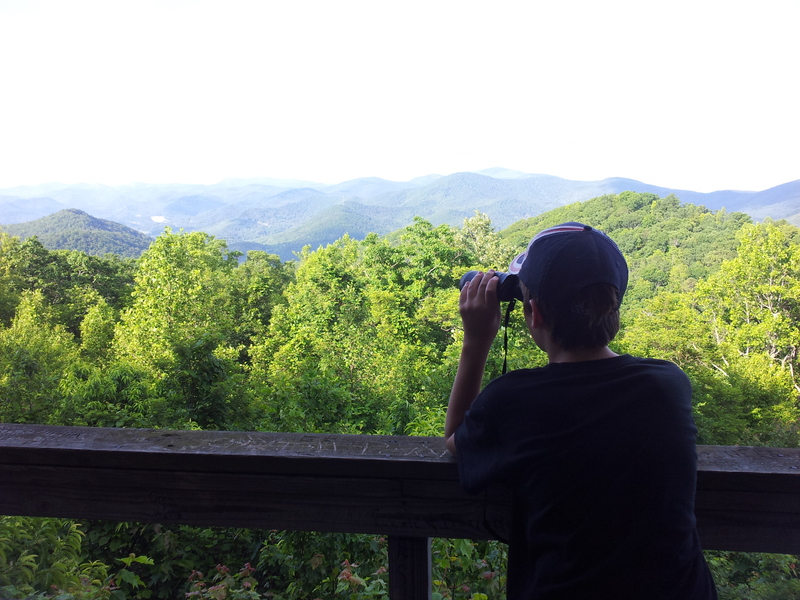 This entry was posted in Uncategorized and tagged Black Rock Mountain State Park, camping, Carlton, children, contemporary South, fishing, Foxfire Museum and Heritage Center, Harris, Lance Elliott Wallace, Lance Wallace, New South, New South Essays, NewSouth, parenting, relationships, South, Southern, Southern Culture, Southern Living, Southerners, the South, travel, vacation. Bookmark the permalink. Thanks, Kristen. Hope you’re having good weather and building good memories with Elliana!